One Eternal Day: "This is where choice leads." .... 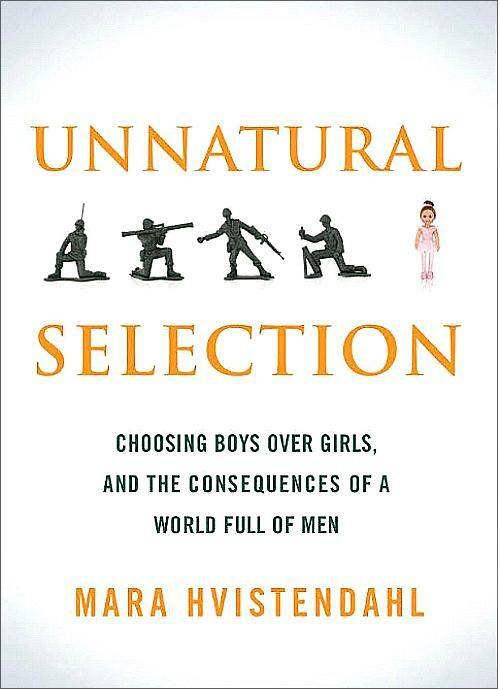 In nature, 105 boys are born for every 100 girls. This ratio is biologically ironclad. Between 104 and 106 is the normal range, and that's as far as the natural window goes. Any other number is the result of unnatural events. ...[I]f "choice" is the moral imperative guiding abortion, then there is no way to take a stand against "gendercide." Aborting a baby because she is a girl is no different from aborting a baby because she has Down syndrome or because the mother's "mental health" requires it. Choice is choice. One Indian abortionist tells Ms. Hvistendahl: "I have patients who come and say 'I want to abort because if this baby is born it will be a Gemini, but I want a Libra.'" There are things we are not free to choose. Among them is killing the innocent - thereby depriving them of life and liberty.